Beachfront Gandia. 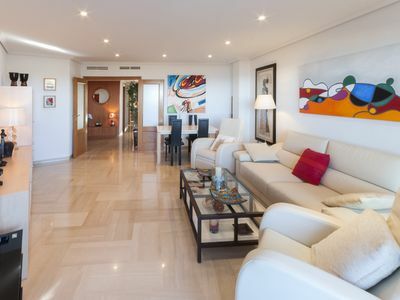 The Aiguablava apartment is a luxury apartment which is situated on the beach. 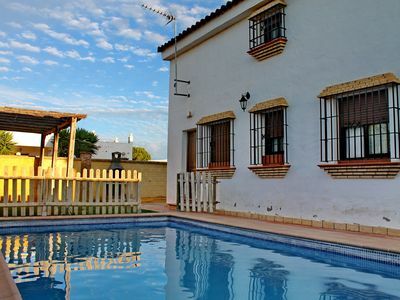 Its location is an ideal resort for large families looking for a relaxing holiday by the sea. Between the sand and the complex you will find a pedestrian promenade, which joins the promenade, which will allow you to take long walks by the sea. In addition, not having to cross any street makes it ideal for the elderly or families with children. From the terrace you enjoy spectacular panoramic views, which you can enjoy 24 hours a day. The complex has a large garden around pisicna artificial, common area with TV and Wifi (which are often the football games with the neighbors), gym and tennis. The apartment is furnished with a modern and fresh design. Has TV, and WIFI and also air conditioning / heating centralized. It has 2 bedrooms for 4 people. Equipped with everything, towels and sheets. You can play tennis, swimming pool. In the area you can make sea sports, mountain bike, fishing, running, kite surfing, paddle surfing.